Ladera Soccer tries its best to accommodate all refunds in a timely and accurate fashion. Processing for all refunds can take up to 4 weeks and checks will only be sent after the REFUND FORM is filled out completely and submitted (provided below for your convenience)..
All requests are subject to review by the Regional Commissioner, Registrar and Treasurer before being approved. Please contact the Registrar, registrar@ayso1455.org, with any questions. 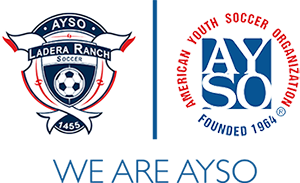 The AYSO National Membership Fee of $20.00 are non-refundable and covers the time period from August 1st – July 31st. This fee includes athlete’s accident insurance, yearly AYSO membership card, PLAYSOCCER magazine, etc. December 31st – Last day for full refund*. January 1st to January 31st – Refunds minus $50 fee per player*. *If a player is not able to be placed on a team, a full refund will be issued (minus the $20 National Fee). Please make every effort to decide before July 1st or Decemeber 31 whether your children will be playing soccer with Ladera Ranch AYSO. Late drops make it difficult to keep teams balanced and we want to avoid having uniforms and services go to waste.